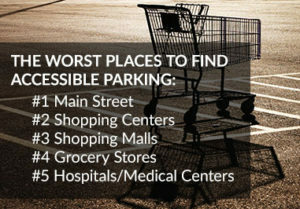 You might be in a hurry this holiday season but if you park in a handicapped parking spot and you’re not disabled you could face a stiff fine. “Unfortunately this is the time of year where people abuse it the most. Black Friday they want to go in get those sales rush in.” Travis County Constable of Precinct 5 Carlos Lopez says even if parking is hard to come by on Black Friday and during the Christmas shopping season, that’s no reason to park in a handicapped space. Read the Nov. 25, 2018 article and watch the news segment by FOX 7 Austin.